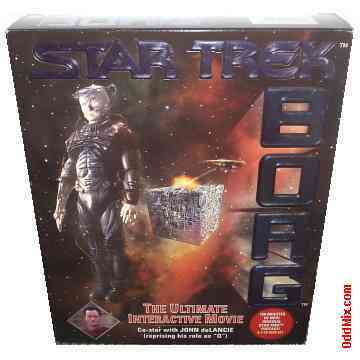 This Star Trek classic "Borg" game from Simon & Shuster was a great entertainment in it's time. Many who has it still enjoying it. Not only this program is still works properly, but it does it like lightning in an early Windows 95/98 or MacIntosh environment. Even on slow older computers the DOS and early Windows programs work very much faster. The game is on three CDs and user booklet, license comes with it. Unused, factory fresh and it comes in its original box. First come first serve only one available.